Some commercial shoots are fun-in-the-sun junkets more akin to client-financed tropical vacations than actual work. 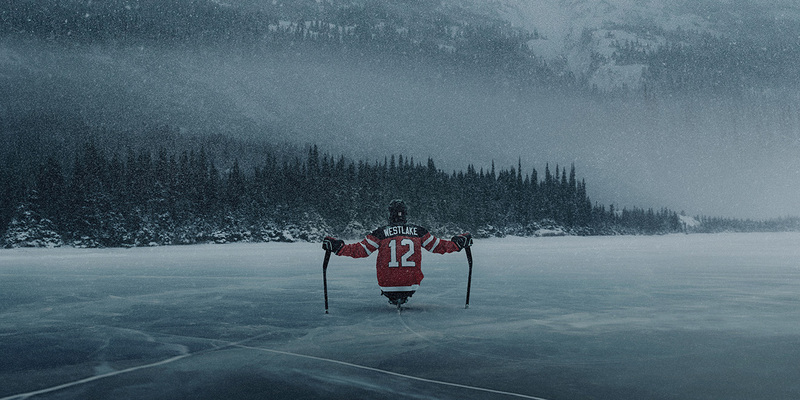 The crew from BBDO Toronto and production house Asymetric braved brutal conditions in the desolate Yukon territory and northern British Columbia, with temperatures routinely dipping to 20 below, to shoot a series of visually stunning videos for the Canadian Paralympic Committee. Brrrrr … our fingers get numb just writing about these ads! “We fell in love with the locations because they provided a nice visual metaphor for our athletes: tough, isolated and rare,” Hubbard says. Contrast this approach with Britain’s Channel 4 and its award-winning promos for the 2016 Paralympic Summer Games in Rio. In that effort, the colorful, musical hijinks of the Paralympians spoke to their indomitable spirit and drive to overcome all odds. These CPC spots take an entirely different route but cross the same finish line in inspiring, hard-nosed style. Kacper Larski’s epic direction exudes cinematic cool. He does a masterful job of keeping the Paralympians front and center in the midst of stark windswept wonder, encouraging viewers to feel the biting cold and pulse-quickening pace of their quest for glory. On the microsite, folks select the events they wish to broadcast, and the competitions are automatically posted to their Facebook or Twitter feeds.